We are pleased to announce our latest material SuperWAX. SuperWAX is the first 3D printing photopolymer that melts like wax. This makes SuperWAX ideally suited to direct-casting of platinum, gold, silver and variety of alloys processed using both gypsum and phosphate bonded investments. This resin needs to be warmed for use. Detailed instructions are included with the resin. 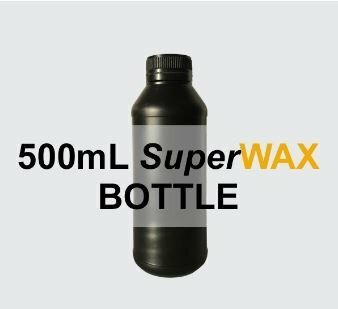 SuperWAX is currently not recommended for Pro machines… It is designed to work well with the new large format Asiga Max machine.